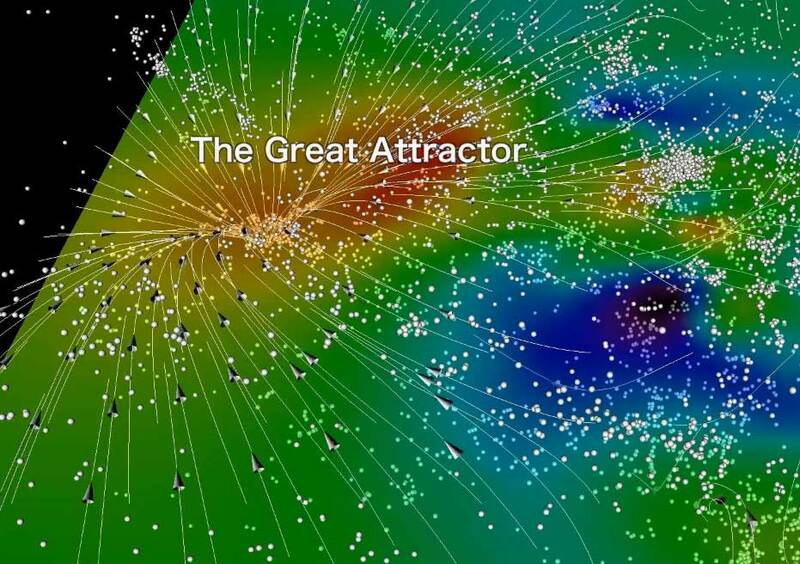 This new study also clarifies the role of the Great Attractor, a gravitational focal point in intergalactic space that influences the motion of our Local Group of galaxies and other galaxy clusters. 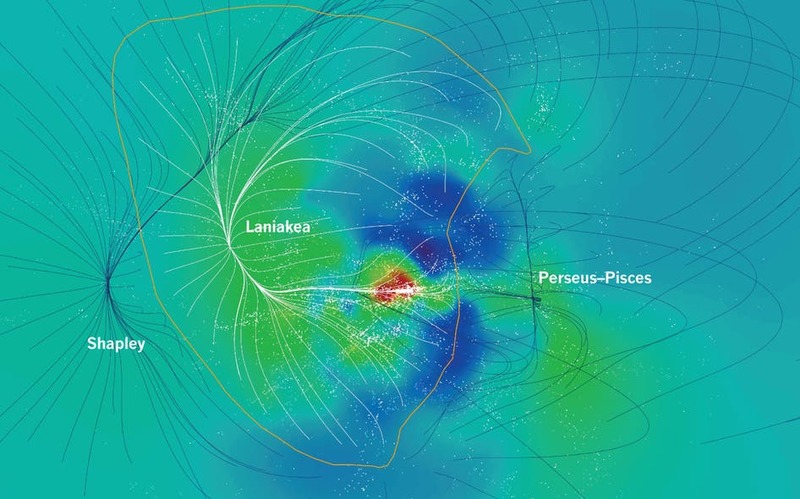 Within the boundaries of the Laniakea Supercluster, galaxy motions are directed inward, in the same way that water streams follow descending paths toward a valley. 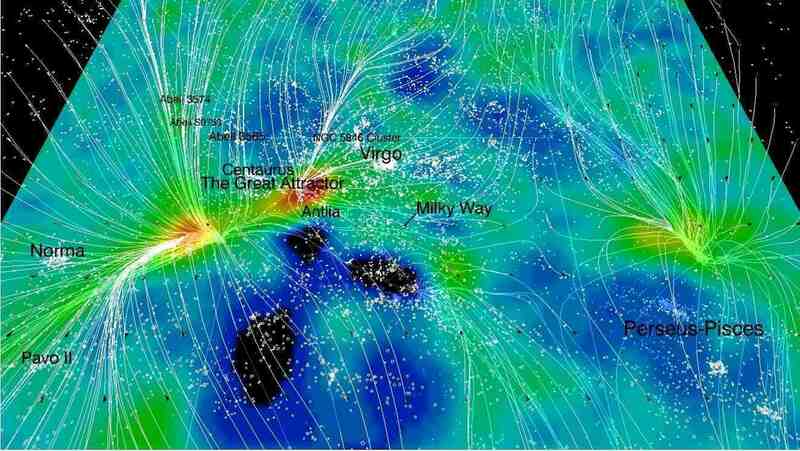 The Great Attractor region is a large flat bottom gravitational valley with a sphere of attraction that extends across the Laniakea Supercluster.